Water Conditioning doesn’t just make your bathrooms easier to clean; they also create a comfortable environment that your building’s tenant will enjoy. 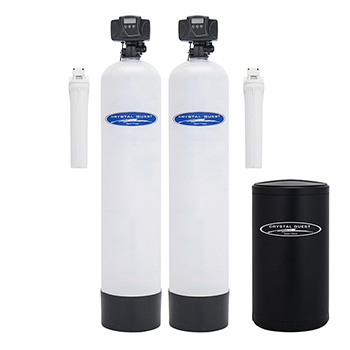 Water filtration systems not only provide you with clean and safe drinking water that everyone will love, but it they also save you money by eliminating the high cost of bottled water. Properly installed water conditioners & filtration from Arie Plumbing will remove harmful elements in your water, providing your tenants with clean, safe and healthy water. No matter the water use in your facility, including drinking, bathing, cooking, and laundry. At Arie Plumbing, we can provide a water conditioning or filtration system to give your facility the highest quality water possible. You can count on our professional plumber to service or install your water conditioner and or filtration systems and to offer expert advice on what your options are for quality water that everyone will love. Schedule one of our expert plumbers to help diagnose and solve these types of problems.